In the summer of July 1995, the UN-designated “safe-area” of Srebrenica bore witness to a terrible event. 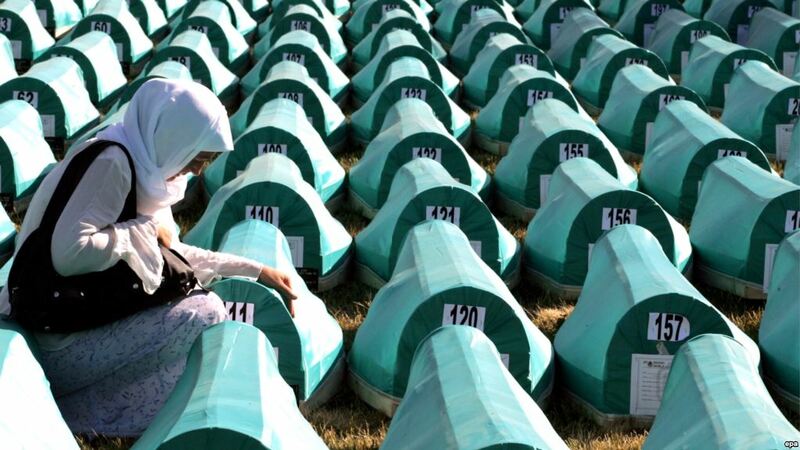 It is estimated that 8, 373 Bosnian Muslims were murdered. Join us on this journey as we commemorate this genocide, and the events leading up to it during the Bosnian war of 1992 – 1995. This itinerary has been designed so that you can honour not only the deaths, but also the lives and acts of courage of those who fought for their independence. We will begin in the beautiful town of Mostar, where the famous 16th Century Stari Most straddles the rushing jade waters of the Neretva river. You will explore the old Ottoman dervish house in Blagaj, a testament to the rich cultural legacy left behind by the Ottoman Empire, before we depart for Sarajevo, also known as the ‘Jerusalem of Europe’. Follow in the steps of the citizens of this city, who underwent the longest siege of a capital city in modern history. Tuesday 9th- Saturday 13th July 2019. 9th July – Between 10:30 am – 12:30 pm on the morning of 9th June at Dubrovnik airport. 13th July – Drop-off 1 will be between 10 – 11 am, drop-off number 2 will be at 7 pm at Dubrovnik airport. From London: 07:05 Easyjet flight from Gatwick Airport on 9th, or, 06:00 EasyJet flight from Stansted on 9th. Recommended return flight is the 13:20 Jet2 flight from Dubrovnik airport to Stansted, or 21:05 EasyJet flight from Dubrovnik to Gatwick. From Manchester: 08:05 Jet2 flight from Manchester Airport on 9th, returning on the 21:45 EasyJet flight from Dubrovnik, or returning on the 12:10 Jet2 flight from Dubrovnik. Min. 10 people. Places are limited and will be allocated on a first-come first-serve basis. Comfortable and centrally-located Muslim-friendly hotels in Sarajevo and Mostar. Muslim guide: Our professional and English-speaking local Muslim tour guide will accompany you throughout the trip and provide you with assistance. Half board: Breakfast and dinner is provided everyday and all food will be halal. Lunch during the Srebrenica day trip is also included. All transfers + airport pickup and drop-off at destination: We cover airport transfers and your transport throughout the trip, in a fully air-conditioned bus. Sit back, relax and enjoy the ride! Prayer times: we take care of your salaat requirements. Day 1: You will be greeted at the airport where our private vehicle will be waiting to collect you. We’ll then begin the scenic drive from Croatia into Bosnia. Enjoy views over the sparkling Adriatic Sea, and see if you can spot the sight of King’s Landing. After we have crossed the border we’ll stop for our first meal together, and then head on to an old Ottoman fortress to enjoy one of the best views over Herzegovina. This first night will be spent in the historic town of Mostar, which was home to some of the fiercest fighting during the 1992-1995 war. Day 2: If you complete Fajr prayer in the local mosque you’ll have a chance to enjoy the peace and quiet of this historic Ottoman town. It wasn’t always this peaceful; as we take you through the town today, our guide will tell you all about why it was such a symbolic place for fighters during the war. We will walk across the rebuilt Stari Most, a legacy that dates back to the time of Ottoman Sultan Suleiman the Magnificent. We’ll then take you to lunch by a waterfall at an idyllic location, where we will also have the opportunity to pray inside an ancient Ottoman tekke nestled in high cliffs. Tonight, we will drive to Sarajevo. Day 3: Srebrenica. The scene of the worst mass-killing on European soil since WWII. Today is the day we visit the memorial site of Srebrenica-Potocari, where at least 8, 372 victims were massacred in July 1995. To this day not all of the bodies have been identified, as people were buried in mass graves after being summarily executed. The area was meant to be a UN safe-zone and was protected by about 600 UN Dutch peacekeepers. The Bosnian-Serb army demanded that all the Bosnian fighters held under siege in Srebrenica hand over their weapons in exchange for their guaranteed safety. Only a couple of days later, the killings began. This day will be dedicated to the martyrs and their families, who even now, 20 years on, continue to experience the consequences of this genocide. Day 4: Today we will learn more about the war over the 3 years it took place, including the siege of Sarajevo. We’ll discover how, against all odds and with no army, the Bosnian Muslims were able to form a significant resistance against the Serb attacks, at the Tunnel of Hope. We’ll then have a chance to reflect in the lush green location of Vrelo Bosne, before we stop for lunch in the heart of Sarajevo, the Bascarsija. You’ll have the opportunity here to learn more about the centuries’ old Ottoman heritage, dating back to Mohammed al Fatih – the man who conquered Istanbul – himself. You’ll have some free time to buy souvenirs here – we recommend the Bosnian coffee, bullet pens, baklawa, and traditional handmade artisan products. We will then drive back to Mostar and stop for dinner at a scenic location along the way. Day 5: We head back to Dubrovnik today, where (depending on flight times), you will have a chance to explore this legendary city’s Old Town before you head home. Our trips to Bosnia support local families, businesses and communities. Where possible, we will direct your funds so that the profits go straight back into the community. Family-run businesses, traditional goods and families living in the countryside who are not well off, all benefit from your joining our trip. There will be an opportunity during the trip to get involved in providing sadaqah (charity) to the local communities. To register your interest today, please fill in the form below. Deposit to confirm your booking: £100/person. This deposit is non-refundable. We reserve the right to cancel the tour up to 40 days before departure if there are not enough persons. In such an instance we would look into making alternative arrangements to enable your trip. You can cancel your booking up to 40 days before date of departure. Your deposit is non-refundable except in exceptional circumstances. We reserve the right to cancel the tour up to 40 days before departure if there are not enough persons.